Millions of people across the UK struggle with redness on the face. But what causes rosacea? What causes rosacea to affect the lives of some people more than others? In truth, the scientific community in general is still not entirely sure as to what causes rosacea. If we knew what caused it, we’d be able to prevent it from manifesting in the first place. What we do know is that there are certain triggers that can increase the likelihood of developing redness of the face, which include exposure to the sun, excessive alcohol consumption, smoking, use of recreational drugs, certain prescription medications and a wide variety of underlying skin conditions. The good news being that irrespective of what causes rosacea, it can almost always be treated effectively. 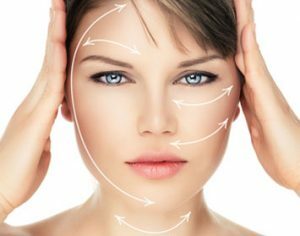 Along with making the necessary lifestyle adjustments, our cutting-edge rosacea treatments can quickly and effectively eliminate the problem, with long-lasting results guaranteed. Rosacea can be a difficult condition to self-diagnose, given the way in which we all have completely different skin tones and general skin colouration. Nevertheless, rosacea symptoms are defined as excessive and chronic redness of the skin, which neither subsides nor responds to the application of everyday topicals and cleansing. If the redness of the skin on your face seems excessive or unacceptable in your own personal opinion, this is really the only confirmation of rosacea symptoms you need. Advancements in the treatment of rosacea have transformed the way the world approaches this surprisingly common skin condition. Upon first detection of even the mildest rosacea symptoms, it’s worth booking a consultation to both explore the potential cause of the problem and discuss the available treatment options. For more information on anything to do with the detection and treatment of rosacea, contact a member of the HSA Dermal Clinic team today. Setting new standards in advanced rosacea treatment for discerning clients in London, HSA Dermal Clinic is proud to offer the most extensive range of skin treatments and solutions in the region. Rosacea results in the kind of reddening and unevenness of the skin that can have a marked impact on the confidence and life-quality of those affected. Rather than simply accepting this surprisingly common condition for what it is, why not make a stand against rosacea with our cutting-edge rosacea treatments in London? As rosacea treatment technology continues to evolve, even the most advanced cases can be successfully treated in no time at all and at an affordable price. We work with the industry’s leading laser and IPL technology to treat rosacea at its source, delivering unbeatable results that last. For more information on what makes HSA Dermal Clinic London’s leading specialist in rosacea treatment, contact a member of our team to organise an obligation- free consultation.